Manyallaluk School, a remote school 100 km north-east of Katherine, is using letter writing as a strategy to engage students in literacy through creating authentic writing experiences. 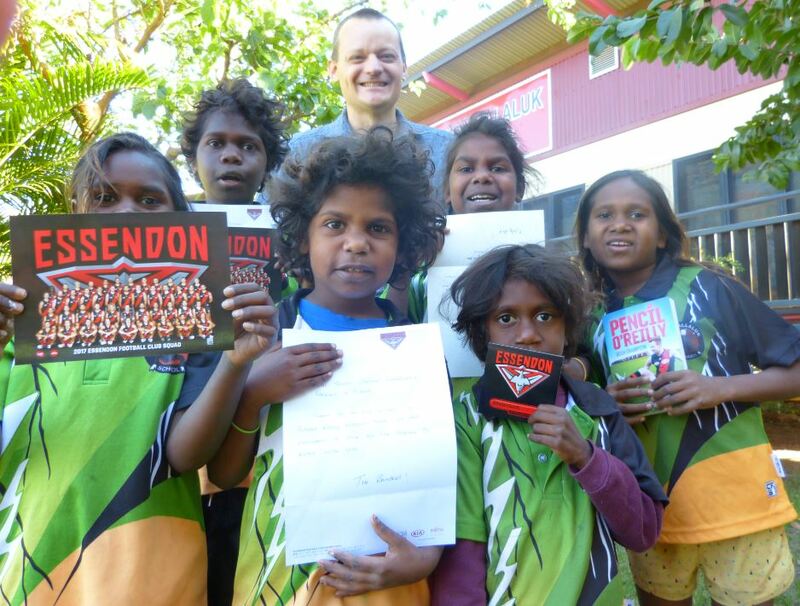 Queen Elizabeth and Essendon Football Club megastars have received letters from junior and senior primary students at the school. To the delight of students, they have received replies from Mary Robinson, Lady-in-Waiting to Queen Elizabeth and the Essendon Football Club. Teaching Principal Ben Kleinig said that through this activity, students have been gaining confidence in their writing skills. "We slowly introduced letter writing last term, and then realised its potential,” he said. “The kids chose their favourite football players, and The Queen – someone who is pretty popular with our students. “Making the writing experience authentic with an audience beyond just the teacher and reaching a global audience gets our students excited about writing. Enthusiasm and excitement about writing translates into more effort, self-belief, having-a-go and more time put into writing by the kids. Getting a 'real-world' reply is its own reward and the kids love it. Kleinig intends to continue this education strategy at the school. “The opportunities are limitless and the results so far are very exciting,” he said.